Years of squinting, concentrating, or frowning can cause your skin to furrow and crease. As time passes, your skin becomes less elastic and those moderate to severe frown lines remain--even when your muscles aren't contracting. BOTOX Cosmetic is the 1st FDA-approved botulinum toxin to temporarily improve moderate to severe frown lines between the brows in people aged 18 and up. After the treatment, the results are proven to last up to 4 months. JUVEDERM XC is a nonsurgical treatment. It contains a modified hyaluronic acid, derived from a naturally occurring sugar found in the human body. Is gently injected by a healthcare professional under the skin using a fine needle. It contains a common anesthetic called lidocaine to reduce discomfort. JUVEDERM XC is used to instantly smooth away the deeper lines along the sides of your nose and mouth. The results can last for up to 1 year with optimal treatment. Instantly adds volume lost to aging in the cheek area. It creates contour and a subtle lift. Natural-looking results last up to 2 years with optimal treatment. 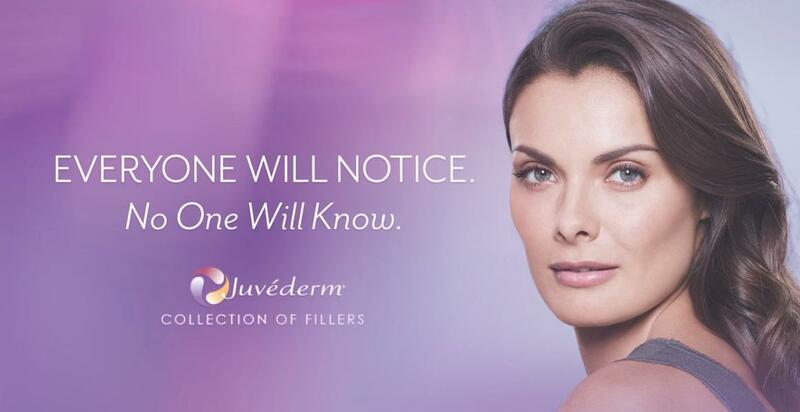 JUVEDERM VOLUMA XC is the first and only FDA-approved injectable gel for the cheek area. It is injected under the skin using a fine needle. It can instantly add just enough volume to gently lift the cheek area. To reduce discomfort during the procedure JUVEDERM VOLUMA XC contains an anesthetic called lidocaine. Is the first and only filler proven to last up to 1 year for lips and vertical lip lines! It softens the appearance of vertical lip lines while adding subtle volume to the lips. The first and only FDA-approved HA filler to correct moderate to severe facial wrinkles and folds for up to 18 months! Over time, your skin loses elasticity, which contributes to moderate to severe parentheses lines and wrinkles around the nose and mouth. While serums and creams work on the skin's surface, JUVEDERM XC and JUVEDERM VOLLURE XC add volume to smooth these lines and folds, to help give you the subtle, long-lasting results you want. KYBELLA is a nonsurgical, 15- to 20 minute in-office treatment session. Is customized to help you achieve your treatment goals. It destroys fat cells when injected into the fat beneath your chin. Once the aesthetic goal is achieved, re-treatment is not expected. Check out the Brilliant Distinction Program that gives you exclusive invitations, special offers and great savings on treatments. Brilliant Distinctions is the exclusive rewards program for Allergan facial aesthetics. Membership is FREE, and managing your account online is easy & secure.